A uniform for all levels. 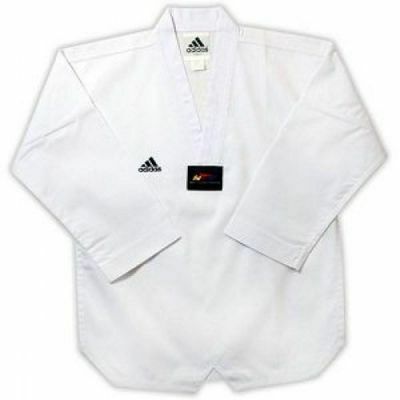 Made of polyester cotton ribbed and corded fabric for clean lines and uncluttered look. Made of 35% Cotton, 65% Polyester. Set includes v-neck jacket and pants with elastic waist.